The firm's principal and chairman, Dave Chen, says European LPs have 'home-field advantage' in appreciating the potential for large-scale controlled environment agriculture. Real assets-focused Equilibrium Capital has closed its debut indoor agriculture vehicle on $336 million, according to its principal and chairman. Launched last March with a target of $250 million, the Controlled Environment Foods Fund secured a commitment of $112 million from A$11.32 billion ($8 billion; €7.14 billion) Australian pension LGIAsuper in February. Dave Chen told Agri Investor that Equilibrium received one additional commitment on the scale of LGIA’s, and that the remainder capital in the fund was secured through commitments of about $25 million from family offices in Europe, Australia, the US and the Middle East. “The fundamentals of demand and the significant barriers to scaling of these controlled environment facilities make it ideal for institutional investors: long-lived assets, significant growth sector, demand and difficulty in securing these assets and managing these assets for current income,” said Chen. 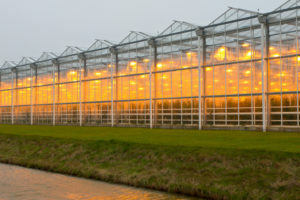 The presence of large tracts of farmland in the United States, according to Chen, has kept the use of greenhouse agriculture from becoming as widespread as it is in Europe. While many US investors have been attracted by the “technological allure” of vertical farming, Chen said, European investors have a “home field advantage” for understanding the potential for controlled environment agriculture and the role the sub-sector plays in blurring the lines between agriculture and infrastructure investment. “There’s isn’t a lot of institutional capital in [the] European controlled environment [sub-sector], but they are very well aware of the importance of the trend and their ability to be early movers in taking advantage of it,” Chen said. In January, Equilibrium drew capital from the Controlled Environment Foods Fund to support its purchase of a 132,398 square foot greenhouse in Medford, Minnesota from Revol Green for $11.3 million. The next month, the firm made an equity investment of an undisclosed size into Houweling’s Group, a greenhouse vegetable grower with facilities in the US and Canada. Chen said Equilibrium is currently working on deals that would likely invest the fund’s remaining capital, with one focused on vine crops. Chen said Equilibrium also plans a dramatic expansion of its strawberry production.